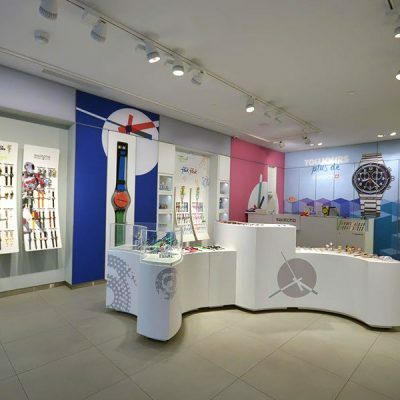 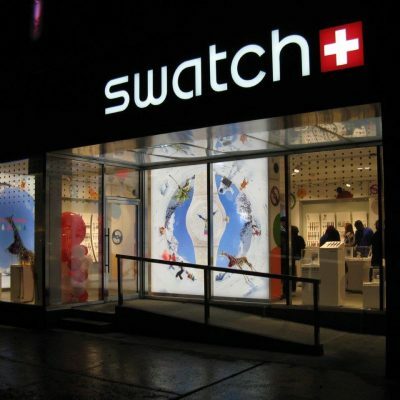 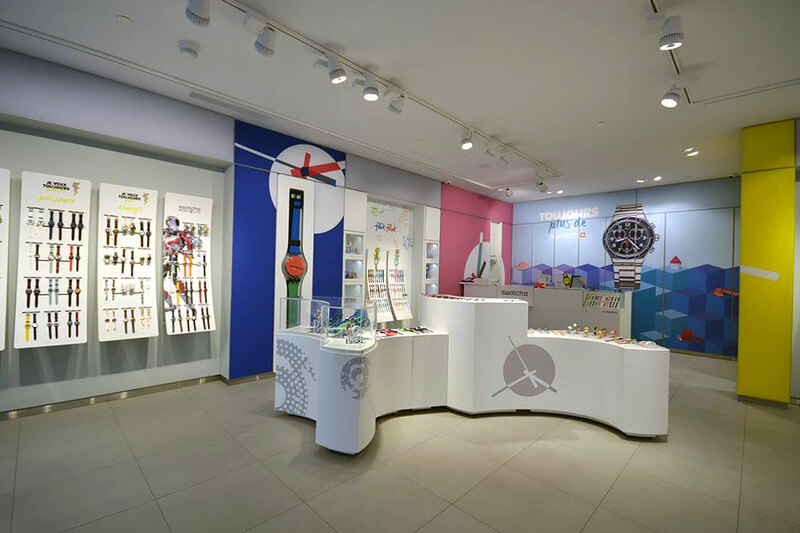 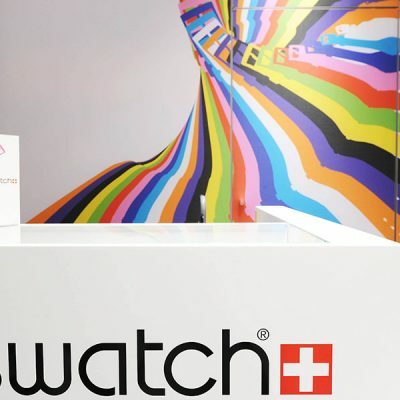 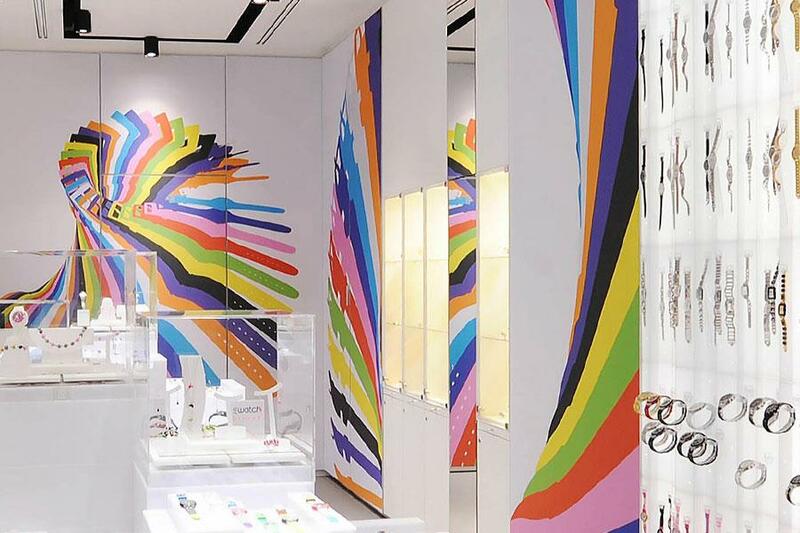 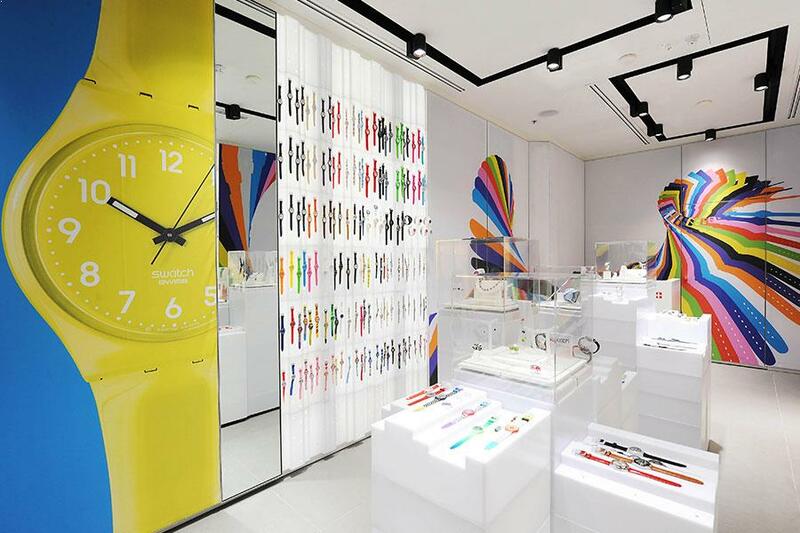 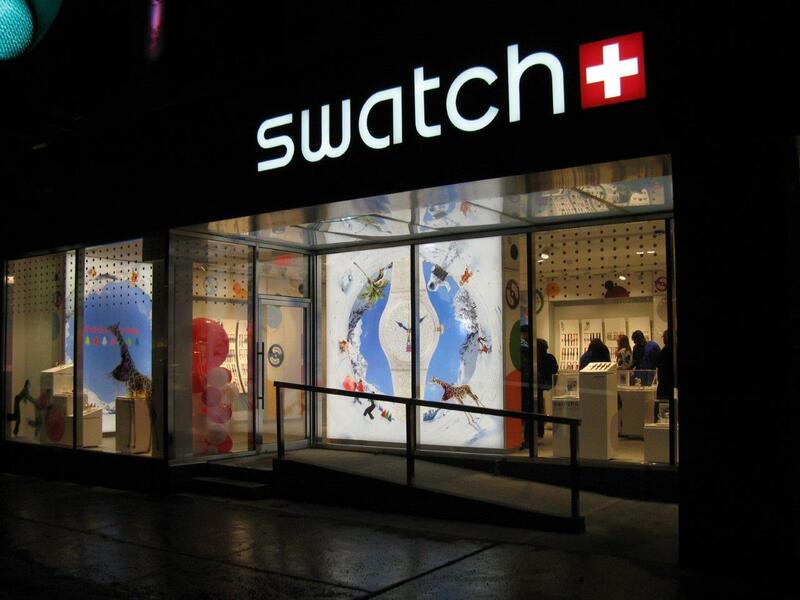 With a major retail store expansion throughout North, Central and South America, Swatch was looking to create an engaging environment, with a new, modern appearance, to promote its latest products. 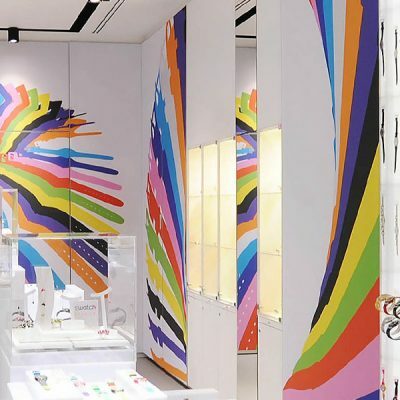 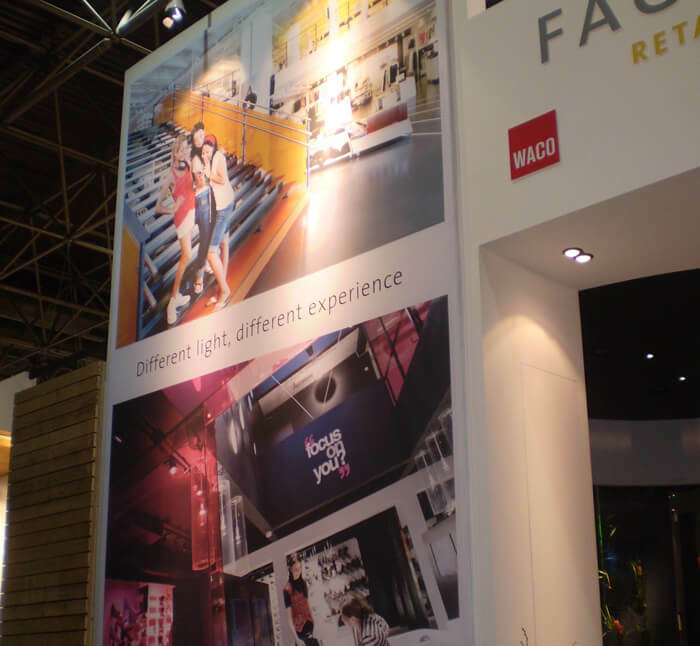 To complete the task, PNH Solutions supplied thousands of different custom-built Wall-Mounted Silicone Edge Graphic (SEG) Fabric Frames and Lightboxes. 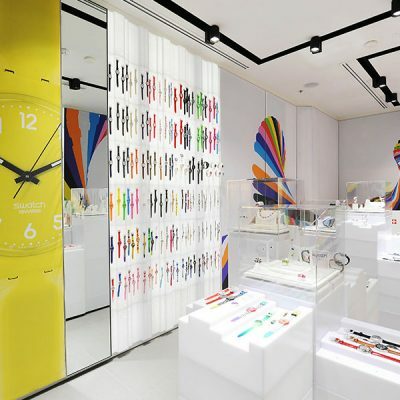 As every store was different, the project required a high degree of precision during all stages of production, since the dimensions, as well as the mosaic configuration of the frames, varied from one store to the other. 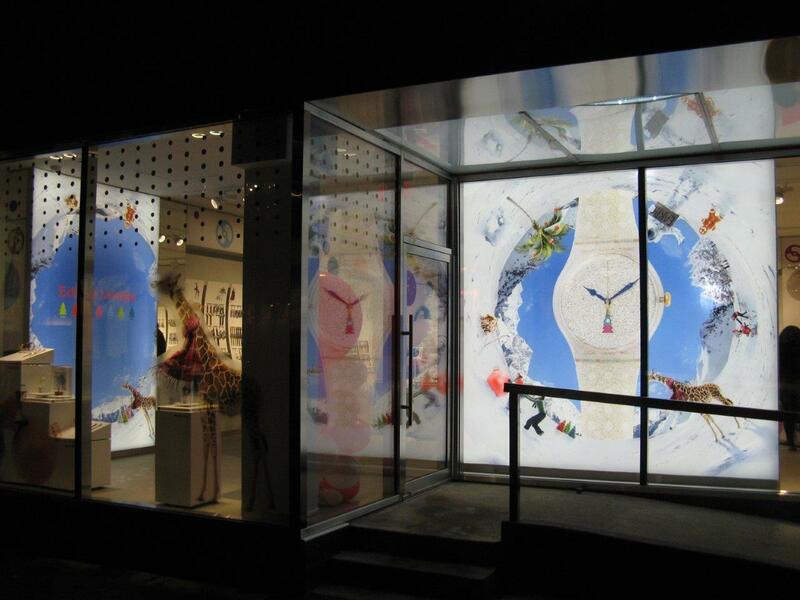 Once the aluminum frames were built, each fabric panel was printed and cut, following specific color codes and stretch factors. 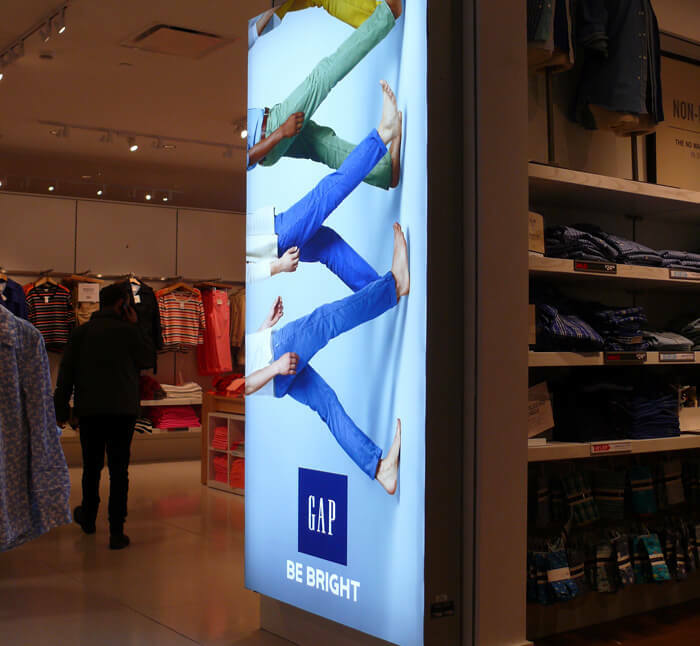 As the visuals often spanned across many different fabric panels, each frame and print had to align perfectly with the others. 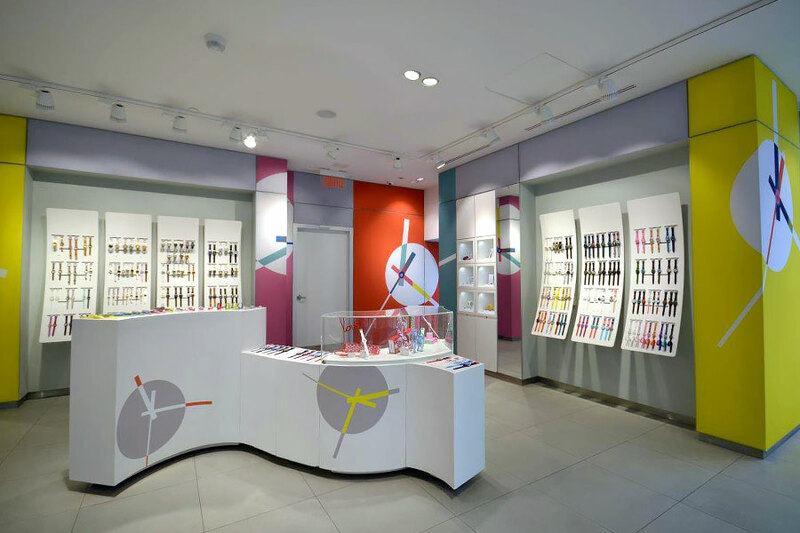 Once finalized, PNH Solutions coordinated the logistics of getting all the products to this wide-ranging geographic area in a timely manner. 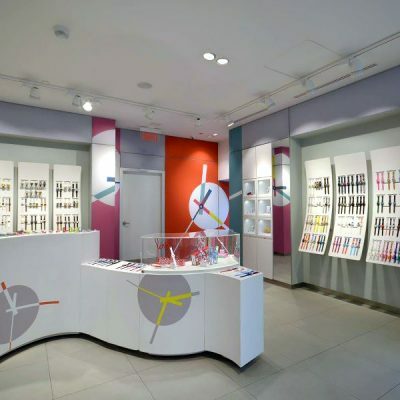 Despite the complexity of the project, PNH Solutions successfully completed the SEG Fabric Frames on time and according to the specific dimensions and mosaic configuration of each store. 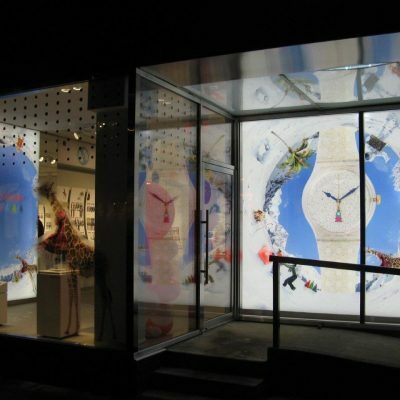 With silicone edges, the fabric panels were able to stretch over the frames and fit into the recessed grooves perfectly. 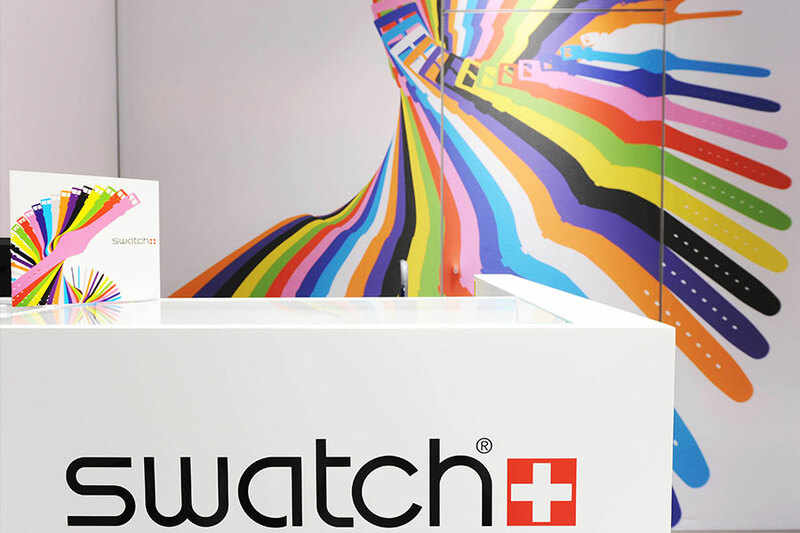 inside and outside the Swatch retail stores.